Thanks for a great challenge last week, your Easter cards were beautiful! We have a color challenge this week! We challenge you to make cards using the colors GREEN, BLUE & KRAFT/TAN for our heroes to send home to their family and friends! Carol, our sample card maker picked our challenge colors this week! 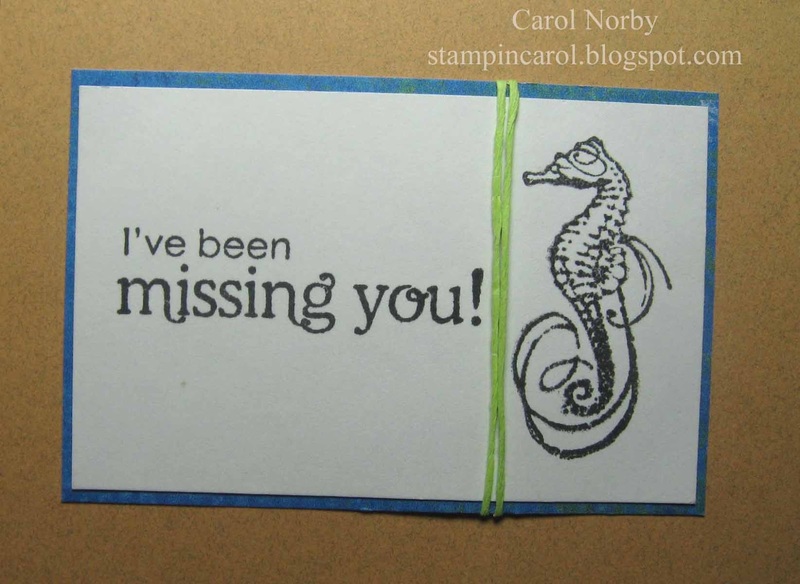 To see more of her awesome creations please visit her blog Stampin Hot in Arizona. Thanks for the great samples, Carol! 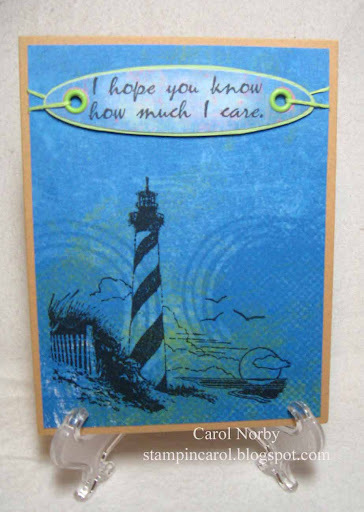 Your first card is amazing – that lighthouse is really striking!! Great challenge and beautiful cards, Carol!